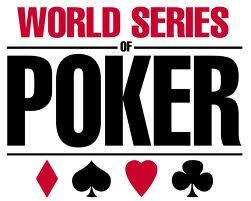 This article is number 4 in a series covering the most important tournaments in the 2011 WSOP. The popularity of poker game is steadily increasing. Poker has its early beginning as a simple family card game which elevated into a well-liked casino game. Technological advancement paved the way for poker to be played online. Yes! You need not drive all the way to casino just o enjoy poker as you can play it right at the comfort of your home. In fact, you can even have it all for free. Certainly, poker has reached unprecedented numbers as seen on the annual WSOP poker tournament. This prestigious event is composed of different poker events, one of which is the 2-7 Draw Lowball Championship. What is this game all about and how is it played? Let’s find out. The 2-7 draw lowball poker game is a draw game, meaning the players are traded with five cards and given the discretion to throw away any card in return for another card. This poker game is far different from the popular Stud and Texas Hold’em wherein the player which holds the highest ranking poker hand wins the game. In 2-7 draw lowball poker, however, the top low ranking poker hand wins the game. Hence, if you used to play Hold’em and wanted to play 2-7 draw lowball, then, it takes a little bit of getting used to. This is because the strong poker hand in other poker games variation will become weak under 2-7 draw lowball. That is why you need to reconfigure your mind if you want to play the 2-7 draw lowball poker game. Now, let us take a preview about the previous season of 2-7 Draw Lowball Championship. Last year’s 2-7 Draw Lowball Championship was an ultimate success which was played by 101 poker players from different countries. The 2-7 draw poker tournaments were scheduled as event #19 in $10,000 buy-in of which David Baker grabbed the most prominent recognition and took home the cash prize amounting to $294,321 with the globally-recognized WSOP gold bracelet. Baker conquered other professional poker players which include Eric Cloutier, George Danzer, John Juanda, Dough Booth, Erik Seidel and Eric Kesselman. The 42nd WSOP 2-7 Draw Lowball Championship will kick off on June 9th, Thursday as event #16 at 5:00 pm. Just like the previous season, the buy-in is $10,000 at the prestigious poker room of Rio Hotel in Las Vegas, Nevada. Certainly, the upcoming 2-7 Draw Lowball Championship will be another jam-packed event that will fill the bustling city of Las Vegas with poker enthusiasts all over the globe.